What does your fall bucket list look like? If it involves getting outside, admiring the changing colors and soaking up the cooler temps, then you’re in the right place. Check out a few of the best adventures to have in the Southeast this autumn. 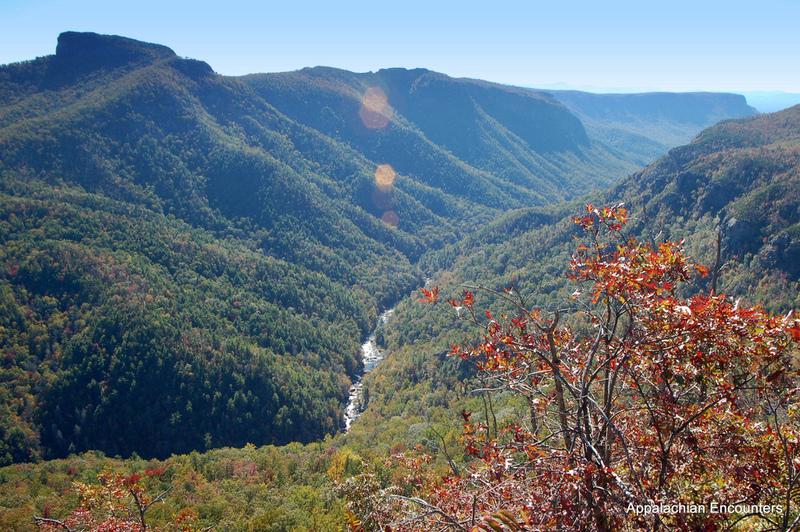 Often referred to as the “Grand Canyon of the East,” the walls of this rugged gorge rise as many as 2,000 feet on either side of the Linville River. The 12,000 acre wilderness area has remained largely untouched and is known for its hiking and climbing opportunities. Tackle the short steep trails to Table Rock and Hawksbill Peak for expansive views of the surrounding mountains, or grab your gear and head for the sticky granite walls for some of the Southeast’s best climbing. This 12-mile point-to-point trail on the Cumberland Plateau is stunningly gorgeous– and not for the faint of heart. It begins through rocky, rugged terrain near Tracy City and ends with awesome views of Foster Falls. 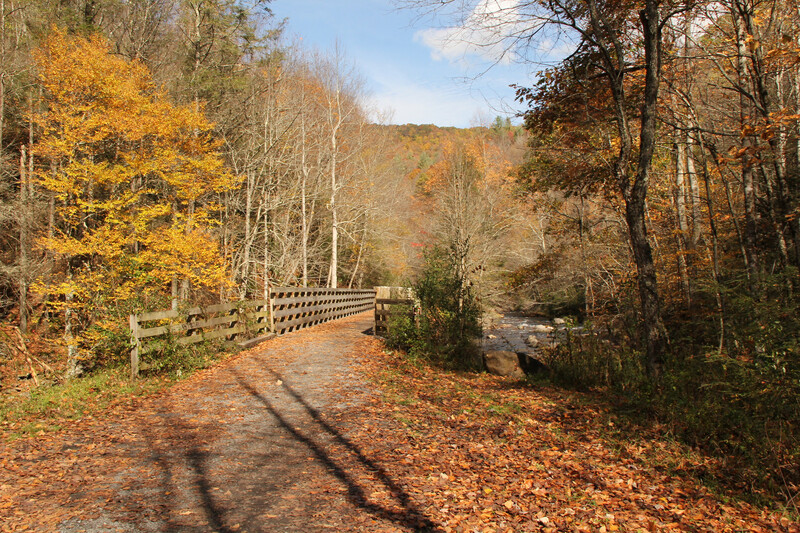 One of the country’s premier rail trails, the Virginia Creeper Trail is tucked into a beautiful little corner of Southwest Virginia. The 34-mile path begins at Whitetop Station and meanders downhill through lovely forestland to the halfway point at Damascus, and then onward to the quaint town of Abingdon. Local outfitters offer bike rentals and shuttle services, with options to bike all or part of the gorgeous trail. Set up a weekend basecamp in Ellijay, Georgia and hit the dirt on some of the state’s best mountain bike trails. Several sections of the nearby Pinhoti Trail are open to mountain bikes, with epic singletrack that will test your endurance. 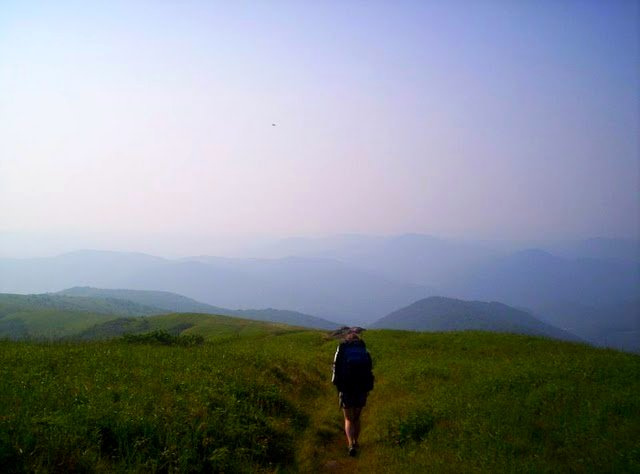 Where Northeast Tennessee meets Western North Carolina, the Appalachian Trail bobs through a series of bald mountains known as the Roan Highlands. If your perfect fall adventures consists of seeing panoramic views for miles around, this is the place for you. Explore the section of the AT between Carver’s Gap and Wilder Mine Hollow for extraordinary views of fall colors in the mountains. This 30 mile point-to-point trail in Western North Carolina is a bucket-lister for hikers, runners and backpackers. Take a long day hike to Black Balsam Knob, or book a shuttle and complete the whole trail in one weekend. 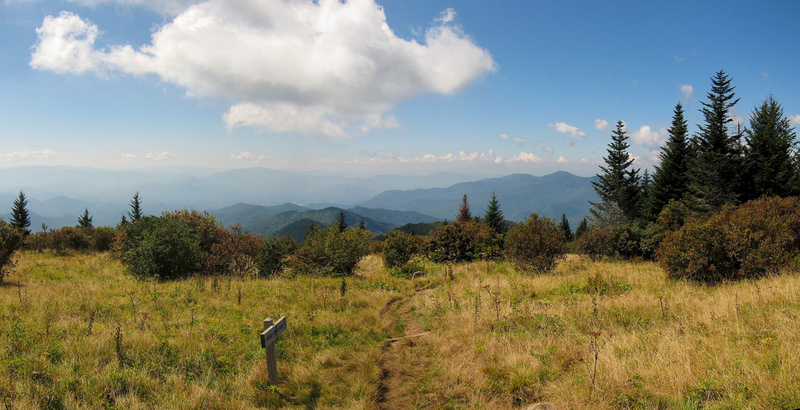 There are pretty much endless ways to explore Pisgah— backpacking, mountain biking, rock climbing, ATV-ing and more. In this national forest, though, there’s something awesome about good old fashioned car camping. Claim a spot at one of the many campgrounds and check out John Rock, Looking Glass, Mt. Mitchell and more for spectacular views of Western North Carolina. It’s no secret that some of the best views in the Southeast are located inside Great Smoky Mountain National Park. 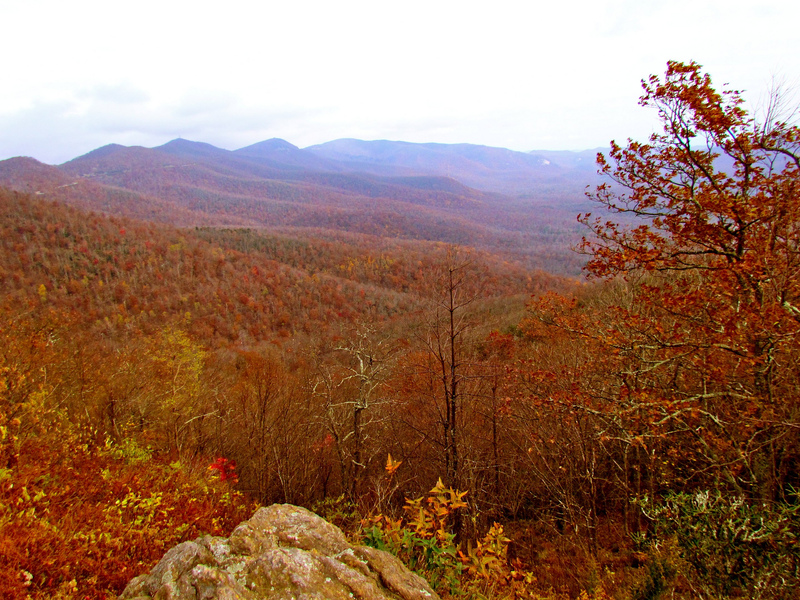 Check out Gregory Bald, Andrews Bald and Charlies Bunion for just a few of the top leaf peeping spots. Fall is the perfect time to get out and explore on the Tennessee River, especially in the river gorge near Chattanooga. Pack up a canoe and head out for an overnight adventure at Williams Island or any of the primitive campsites to be found along the river. 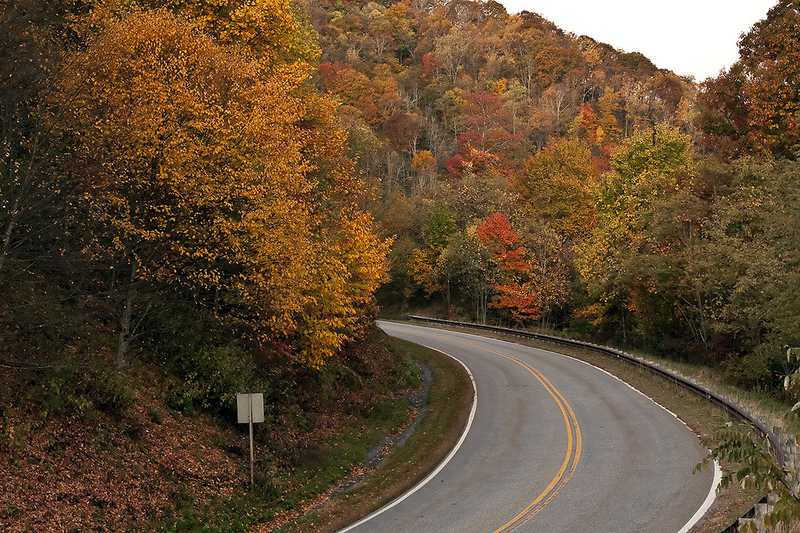 Take a scenic driving tour of the Cherohala Skyway for some of the best fall colors in the region. The 40-mile road, winding from Tellico Plains, TN to Robbinsville, NC, is a National Scenic Byway and has plenty of scenic overlooks, waterfalls and short roadside hikes. Featured image provided by Jeff Gunn via Creative Commons.